Air Canada has dropped the price of their non-stop flights from Vancouver to Brisbane and Sydney, Australia down to between $929 and $961 CAD roundtrip including taxes. This is about 25-30% below the typical best roundtrip prices between Vancouver and Brisbane or Sydney. 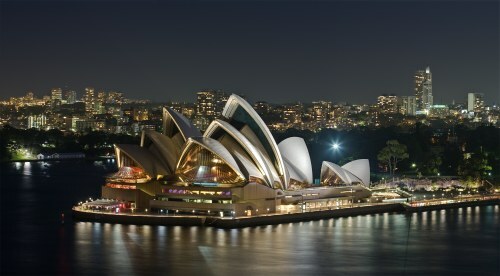 vancouver, yvr, flight deals, air canada, australasia, australia, sydney, syd, brisbane, bne and oceania. 2 Responses to "Vancouver to Brisbane and Sydney, Australia - $929 to $961 CAD roundtrip including taxes | non-stop flights"
Merry Christmas YVR Deals :) thanks for all the amazing travel adventures you have facilitated. Your website has hooked me up with amazing deals to Thailand, Kauai, Oauhu and Bali. My husband and I pretty much shop for our holidays on your blog and I recommend constantly to everyone I know. Wow, thanks Christine! That is very much appreciated. Merry Christmas and Happy New Year's to you as well!